Sony released a new full-frame mirrorless camera. 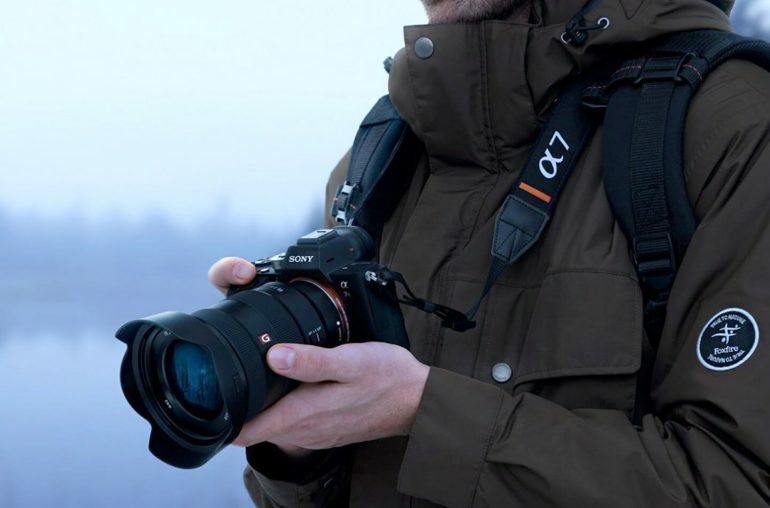 The Sony Alpha 7R III incorporates professional photo and video features. Sony just announced a new full-frame system camera. 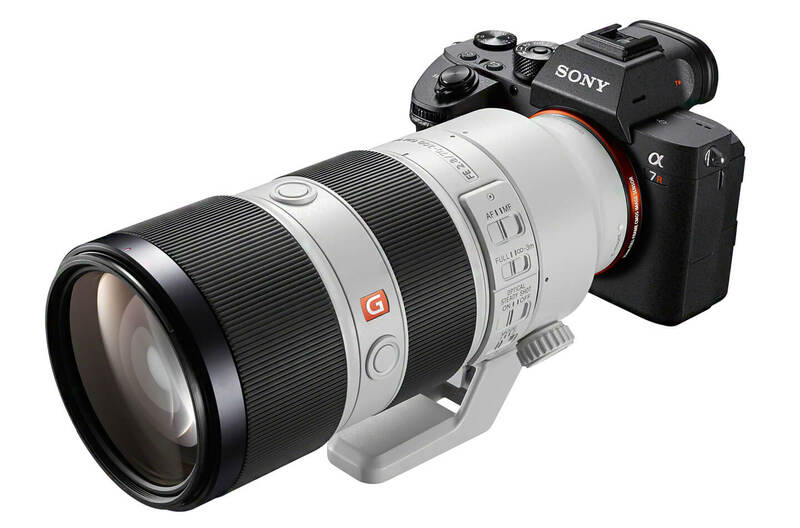 The Sony Alpha 7R III (model ILCE-7RM3) will succeed the two year old A7R II . This professional camera has been very popular because of its rear-illuminated full-frame sensor and its 4K capabilities. The new Alpha 7R III is a compact camera with an improved sensor and an impressive continuous-shooting mode of 10fps. 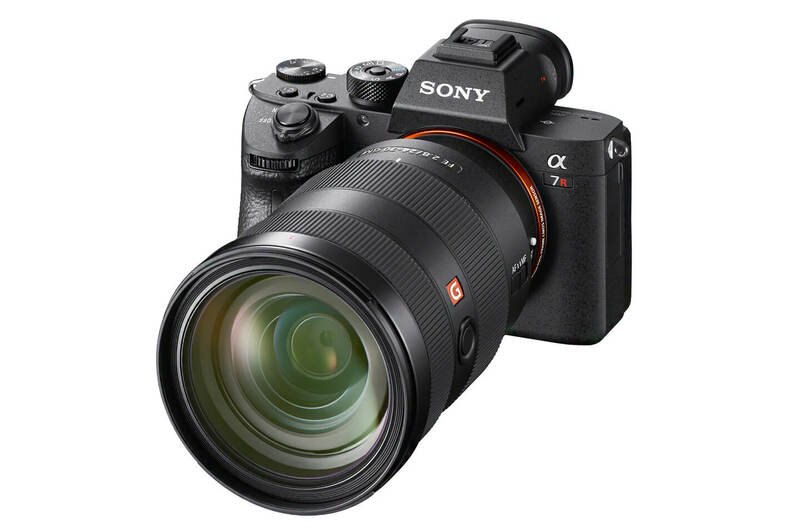 The Sony A7R III combines a high-resolution 42.4 MP back-illuminated Exmor R CMOS image sensor with impressive shooting speeds at up to 10 fps with full AF/AE tracking. The camera integrates an advanced AF-system with 399 phase-detection points and 425 contrast-AF points. A 5-axis optical in-body image stabilization with a 5.5 step shutter speed advantage offers users the ability to create bright and sharp images. In addition, the compact and lightweight Sony Alpha 7R III can record videos in 4K resolution. The 42.4MP high-resolution, back-illuminated Exmor R CMOS image sensor utilizes a gapless on-chip lens design and AR (anti-reflective) coating on the surface of the sensor’s seal glass to improve light collection efficiency, resulting in high sensitivity with low-noise performance and wide dynamic range. The new Sony A7R III also features a new front-end LSI that doubles the readout speed of the image sensor, as well as an updated BIONZ X processing-engine that boosts processing speed by approximately 1.8 times compared to the A7R II. These powerful components work together to allow the camera to shoot at faster speeds while also enabling its impressive ISO range of 100 – 32000 (expandable to ISO 50 – 102400 for still images) and massive 15-stop dynamic range at low sensitivity settings. This new full-frame model was built without an optical low pass filter to maximize resolution, while also having the ability to output 14 bit RAW format even when shooting in silent or continuous mode. The camera is equipped with an innovative 5-axis optical image stabilization system that has been fine-tuned to support its high-resolution shooting capacity, resulting in a 5.5 step shutter speed advantage. It´s the world’s highest compensation performance for an image stabilization system. There is also a new low-vibration shutter that reduces vibration and image blur in all modes, including the high speed 10 fps shooting, as well as several advancements in accurate color reproductions of skin tones. The innovative new Sony α7R III full-frame mirrorless camera is equipped with a refined image processing system that allows it to shoot full 42.4MP images at up to 10 fps with continuous, accurate AF/AE tracking for up to 76 JPEG / RAW images or 28 uncompressed RAW images. This high speed 10 fps mode is available with either a mechanical shutter or a completely silent shooting, adding to the immense flexibility of the camera. The camera can also shoot continuously at up to 8 fps in live view mode with minimal lag in the viewfinder or LCD screen. These high speed options ensure that fast moving subjects can be captured with accuracy and incredible image detail. Additionally, if there is fluorescent or artificial lighting present in a shooting environment, users can activate the Anti-flicker function to allow the Alpha 7R III to automatically detect frequency of the lighting and time the shutter to minimize its effect on images being captured. This minimizes any exposure or color anomalies that can sometimes occur at the top and bottom of images shot at high shutter speeds. The upgraded focusing system of the Sony A7R III is comprised of 399 focal-plane phase-detection AF points that cover approximately 68% of the image area in both the horizontal and vertical directions. There is also 425 contrast AF points, an increase of 400 points compared to the A7R II. This advanced system delivers AF acquisition in about half the time as the A7R II in low-light conditions, with tracking that is approximately two times more accurate as well. The acclaimed Eye AF feature is also approximately two times more effective, and is available when utilizing Sony’s A-mount lenses with an adapter. Additional improvements in focusing flexibility include AF availability in Focus Magnifier mode, focal-plane phase-detection AF support when using A-mount lenses, an ‘AF On’ button, a multi-selector or ‘joystick’ for moving focusing points quickly, flexible touch focus functionality and much more. The new Sony Alpha 7R III is also a great video camera, offering 4K (3840×2160 pixels) video recording across the full width of the full-frame image sensor. When shooting in Super 35mm format, the camera uses full pixel readout without pixel binning to collect 5K of information, oversampling it to produce high quality 4K footage with exceptional detail and depth. A new HLG (Hybrid Log-Gamma) is available on the A7R III that supports an Instant HDR workflow, allowing HDR (HLG) compatible TV’s to playback beautiful, true-to-life 4K HDR imagery. Further, both S-Log2 and S-Log3 are available for increased color grading flexibility. The camera can also record Full HD at 120 fps at up to 100 Mbps, allowing footage to be reviewed and eventually edited into 4x or 5x slow motion video files in Full HD resolution with AF tracking. Sony’s newest full-frame camera is equipped with a variety of enhanced capabilities that give it a true professional operational style. These include dual media slots, with support in one slot for UHS-II type SD memory cards. Users have a variety of options for storing their content, including separate JPEG / RAW recording, separate still image / movie recording, relay recording and more. 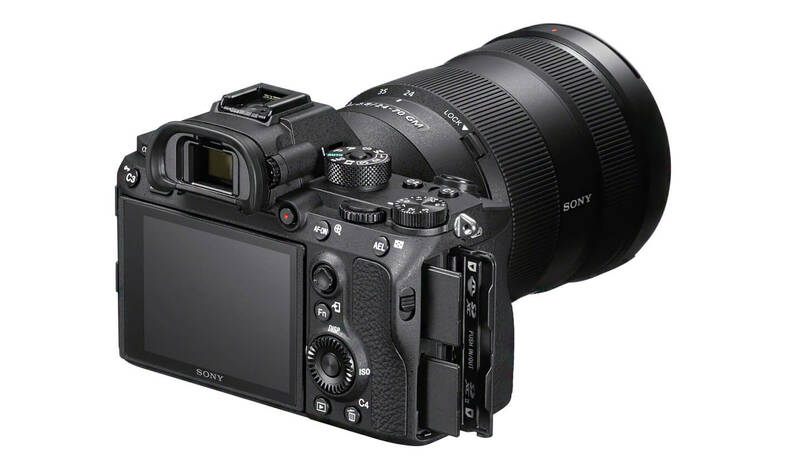 Battery life has been greatly extended as well, as the new camera utilizes Sony’s Z series battery that have approximately 2.2 times the capacity of the W series battery utilized in the Alpha 7R II. The Sony A7R III features an upgraded high-resolution, high-luminance Quad-VGA OLED Tru-Finder with approximately 3,686k dots for extremely accurate, true-to-life detail reproduction. The Tru-Finder, also found in the acclaimed Sony A9 camera, utilizes a ZEISS T* Coating to greatly reduce reflections, and has a fluorine coating on the outer lens that repels dirt. It also has a customizable frame rate, with options of either 50 fps or 100 fps to best match the action. The LCD screen has been upgraded as well, with a resolution of 1.44M dots and WhiteMagic technology that improves viewing in bright, outdoor conditions. “Standard” or “High” display quality settings are also available for both the viewfinder and monitor as well. “High” takes advantage of the large amount of data read from the 42.4MP sensor to provide extra fine viewfinder and monitor displays for a more natural view. The new Sony A7R III allows for convenient transfer of files to a smartphone, tablet, computer or FTP server via Wi-Fi, while also including a sync terminal, enabling external flash units and cables to be connected directly for convenient flash sync. A SuperSpeed USB (USB 3.1 Gen 1) USB Type-C Terminal is also available for increased flexibility in power supply or connected accessories, as well as a faster image transfer speed when connected to a PC. New with the Sony A7R III is a software suite called “Imaging Edge” that extends the creative capabilities of the entire shooting process – from pre-processing to post-processing. “Imaging Edge” provides three PC applications called ‘Remote’, ‘Viewer’ and ‘Edit’, available for free download, which support live-view PC remote shooting and RAW development. Also making its debut on the versatile A7R III is a new Pixel Shift Multi Shooting mode, which takes full advantage of the advanced 5-axis optical in-body stabilization to create beautiful true-to-life, super-high resolution composite images. In this mode, the camera precisely shifts the sensor in 1-pixel increments to capture four separate pixel-shifted images containing a total of approximately 169.6 MP of image data. These four images can be composited together and processed utilizing the new “Imaging Edge” software suite. This ultimately results in a still image with overwhelming resolution and an unprecedented level of color accuracy, and is ideal for photographing architecture, art or any other still life photography subject with many intricate details and colors. The Sony A7R III full-frame mirrorless camera will ship in November 2017. The A7R III will retail at €3.500 / £3,200 / $ 3,200 including VAT. Two years ago, the A7R II was released at the same price.